Friday afternoon, Derek Falvey revealed the names of the internal Twins players who have received an invitation to Minnesota Twins big league spring training. The list includes top prospects Royce Lewis, Alex Kirilloff and Brent Rooker. We have seen some Twins minor league signings trickle in over the past month or more. Some of them may receive an invitation to big league camp. On Friday, Derek Falvey only announced the Twins internal players who will be invited to spring training. The list includes infielders Royce Lewis and Brent Rooker, outfielders Luke Raley and Alex Kirilloff, catchers Ben Rortvedt and Brian Navarreto, and pitchers Ryan Eades and Jake Reed. Regarding the invites, Derek Falvey noted, "I never look at invites, especially internal invites, as saying they're all competing to make the team. In fact, a lot of times I tell them at the front end that they're not because that last thing you want is somebody to go out in his first bullpen of the year and try to throw 100 mph. It's not good for anybody." Royce Lewis (19), the top overall pick in the 2017 MLB draft, put together a strong professional debut season with the Cedar Rapids Kernels. He ended the season with a month in Ft. Myers where he helped lead the Miracle to a Florida State League championship. He hit a combined .292 with an .803 OPS. He added 29 doubles, 14 homers and an organization-leading 28 stolen bases. Alex Kirilloff (21) also played in his first full minor league season. The 2016 first-round pick missed all of 2017 due to Tommy John surgery, but he came back in 2018 and was one of the best all-around hitters in all of baseball. The Sherry Robertson Award winner as the Twins Minor League Player of the Year evenly split his season between Cedar Rapids and Ft. Myers. He hit .348 with a .970 OPS in 2018. He led minor league baseball with 44 doubles and added 20 homers and 105 RBI. Falvey added, "It's about exposure. For some of our young guys, and I know a lot of attention will go to Royce and Alex, those are two young guys and you obviously know how we feel about them, and we're excited about the investment in them from a development standpoint. It's a chance to get them around Rocco and the major-league staff. We anticipate they'll get back on the minor league side to get their seasons rolling. That's a great taste in my mind, to get a major league feel before you take a run. "I think from a timeline standpoint, that's aggressive, clearly. But I've always said don't put limitations or ceilings on guys and I'm not going to put it on those two, and I think there's a number of others in that group at could find their ways to the big leagues at some point, certainly in the next couple of years." Here is more about those other guys. Brent Rooker (24) was the Twins supplemental first-round pick in 2017 after finishing the 2017 season as the Triple Crown award winner in the SEC. He spent 2018 in Double-A Chattanooga where he hit 32 doubles and 22 home runs. Luke Raley (24) joined the Twins organization at the trade deadline this year. He was acquired from the Dodgers organization in the Brian Dozier deal. Raley joined the Lookouts and ended the season with 20 combined home runs on the season. Ben Rortvedt (21) was the Twins second-round pick in 2016 out of high school in Wisconsin. He split 2018 between Cedar Rapids and Ft. Myers. He hit .262 with 16 doubles and five homers over 90 games in 2018 and plays strong defense. Brian Navarreto (24) will return for a second big league camp. The 2013 sixth round pick from high school in Florida spent the 2018 season Chattanooga. He hit .247 with 19 doubles and four homers. However, it is his defense that makes him a prospect. Jake Reed (26) also returns for another big league camp. The fifth round pick in 2014 out of Oregon was nearly unhittable over the final four months of the 2018 season at Rochester. Hopefully 2019 is the year he finally gets an opportunity. Ryan Eades (27) was the Twins second-round pick in 2013 out of LSU. He spent most of 2018 in Chattanooga though he ended the season strong with a month in Rochester as well. Exciting! It seems to me like this front office is willing to move faster with players when their performance warrants it. For me, I'm hoping to see them play a little this spring. Hoping Alex K. starts off at AA this year and Lewis I think starts at High-A and with a good performance could see AA at some point this year. Why not challenge these kids? Not surprising Navarreto and Rortvedt were invited..Need lots of catchers with so many pitchers throwing bullpens early in camp. Royce Lewis (19), the top overall pick in the 2017 MLB draft, put together a strong professional debut season with the Cedar Rapids Kernels. He ended the season with a month in Ft. Myers where he helped lead the Miracle to a Florida State League championship. He hit a combined .292 with an .803 on-base percentage. He added 29 doubles, 14 homers and an organization-leading 28 stolen bases. Now THAT'S a BB/K ratio I can get excited about. That's nothing compared to Kiriloff, who had a .970 on-base percentage. He's a really tough out. no Tyler Jay.Would have liked to see Wiel and Catcher Sawyer too. Brian navarreto has always interested me. Big dude who plays really good defense behind the plate. If he could just figure out the bat. Maybe he’s a late bloomer with the bat and last year was a starting point. Me too... the defense is so good that any hitting would make him a big leaguer. To see the OPS over .600 is encouraging, a nice step. Presumably each of them will get time in big league campm. How the heck do you NOT invite Tyler Wells? He had THE best numbers in the ENTIRE ORGANIZATION. Some of those position guys had mediocre years to be honest. Pretty much all just getting to come 10 days early and work out with the major league guys. Wondering who the minor league free agent invites are. See they just signed another half dozen guys. To hold on to 24 being young for MLB seems a bit hopeful to me. I think a 5-7 year career should be a goal for just about any non elite minor leaguer. For Navaretto, he could easily be a Butera. With a little more bat, he could be a Jose Molina. Those kind of catchers are apparently pretty useful, if not highly valued. I think a career as a catcher who is some part of a platoon situation, is within reach for Navaretto. That isn't so bad. I always hope for the prospect that refuses to be sent out, the one who is just so good he breaks the barriers and goes north. I am hoping the Kirloff makes enough noise in camp to at least force the FO to start him in Pensacola. Most of the invites are just to bring them in early to work with them and let the better prospects get their feet wet in a major league spring training regime. I expect most of the prospects will be sent out when minor league training camps open, which is the first or second week of March.Any of them that do not would be a sign they have opened some eyes of the major league staff. Can't be patient with Navaretto much longer. He is a minor league free agent after this season I believe. I would've thought we all learned from the Adam Brett Walker experience that CAPS and prospect talk dont mix well. 1 day of service time for Free Medical for life. 43 days of service time to be in the pension program. Both are key service dates for fringe players as well. If you put [ i ] [ /i ] (without the extra spaces) around the words you want italicized, that should work. It is a bit more unwieldy, however. They probably are just trying to excite the fan base.Trying to make us overlook the fact that they are not going to spend the money they were paying Mauer.I know he earned it but we have spent three to four seasons waiting for it to be done.I know he wasn't the reason or should not have been the reason they were not spending, but we have spent at least the last 3 off seasons wondering who they would sign once Mauer was gone.Woo hoo we got Cruz, while I am excited to get him, I can't take this anymore.I made it 3 days w/o reading about the Twins hopefully I can wean myself off of them all together. My guess is that Kirilloff is a Blue Wahoo to start the season regardless. It certainly would make a nice impression with the new Pensacola affiliate. Being young and high top end talent, surely as per usual, Kirriloff and Lewis will be among the first re-assigned. I wonder if Rooker will get a longer look. There's a bit of a logjam ahead of him, but he appears much closer to being a legit consideration. 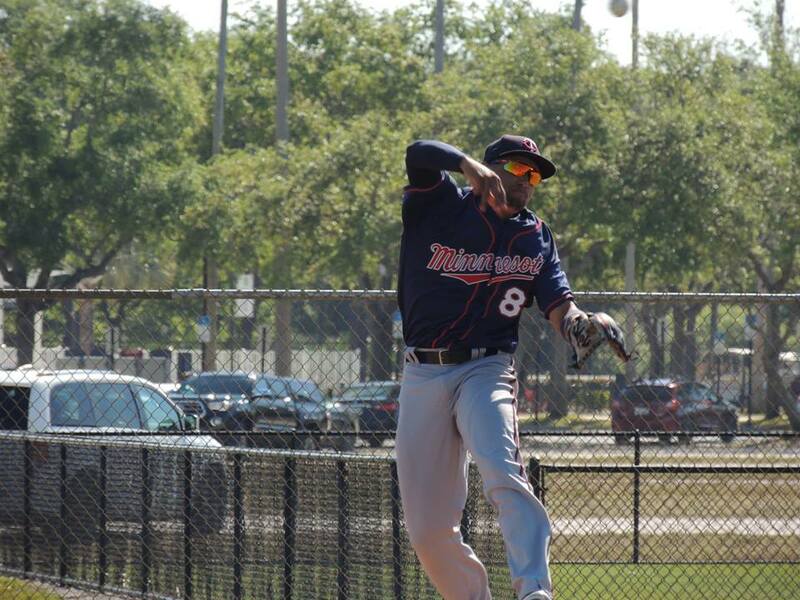 Twins Minor League Report (4/22): Dobnak Dazzles... Again!